Conducting the proper due diligence before purchase is a necessary part of ensuring the success of your investment. This brief guide will give you an idea of what to look out for and how to conduct effective due diligence. The importance of doing this research is magnified for non-residents of the US, looking to buy properties in America for the first time. The first part of any due diligence process is conducting research on the location. When considering a residential property the first thing to look for in a neighborhood is the occupancy rate. While some cities across the US provide accurate data on occupancy rates, often this information is hard to find. New tech companies are starting to utilize technology that assesses and tracks parcels and their occupancy status. Often times investors will look to sites like Zillow and Trulia to gather data on specific neighborhoods. These sites rely on public records data and information on specific neighborhoods is sorted by zip code. This is extremely faulty in Detroit, and a prime of example of this is the 48223 neighborhood, located on the northwest side of the city. This zip code is highlighted in red in the graphic below. The 48223 Zip Code on Detroit's northwest side. Includes portions of Brightmoor and Rosedale Park. Within the borders of this one zip code, there are two neighborhoods which are worlds apart. One neighborhood, Brightmoor, is economically depressed and blighted. The neighborhood was developed during the post WWII housing boom and contained small, affordable, frame built houses. As Detroit experienced population decline in the subsequent decades, this area was heavily affected. Today, the neighborhood has one of the highest vacancy rates in Metro Detroit and is filled with derelict properties. There are many properties in this area that are available for sale, and on paper they offer “attractive” returns. However in practice these returns would be unachievable. In the same zip code, we also find one of the most stable and high end neighborhoods in Detroit (Rosedale Park/North Rosedale Park). This area boasts home ownership rates upwards of 80%, according to the Grandmont-Rosedale Development Corporation http://grandmontrosedale.com/. Rosedale Park is filled with grandiose brick homes, many exceeding 2000 sq feet. So sites like Zillow will calculate average home prices in this zip code by including both Brightmoor and Rosedale Park, which results in massive inaccuracies and misleading information. It is best to work with market experts that can provide invaluable information on specific neighborhoods. Also, it is important to stay updated on upcoming development or infrastructure projects. These can change the dynamics of an entire neighborhood. In 2018, construction is slated to begin on the Gordie Howe International Bridge, connecting southwest Detroit to Ontario, Canada. It will be the busiest entry point between the US and Canada (volume of cars). This is expected to have a major impact on the surrounding area. According to the Detroit News, 351 properties have been purchased on the Detroit side for a total of $22M, to secure the land needed to build the bridge. Many of these properties were derelict and vacant. This will result in a significant makeover for the Southwest Detroit community. The entire cost of the massive project is expected to exceed $2.5Bil. Other projects which have changed entire neighborhoods include the soon-to-be completed Little Caesars Arena, connecting Midtown and Downtown Detroit. This $600M project completely transformed the Brush Park neighborhood, located across the street from the new stadium which will be home to the Pistons and Red Wings. Once you've completed due diligence on the area, you should shift your focus on the specific property. Is the property occupied or vacant? If vacant, you should request an assessment report and a detailed quote from a contractor that verifies the scope of work necessary. Avoid properties that show structural damage as this can be very costly to repair. If the property is occupied, inquire about the tenant. How long has the tenant been in the property? Have they demonstrated a good payment record? Ask for comparable sales to find out if you're paying fair market value for the property. There are some tenants that are participants in the federal Section 8 program. For these tenants, they are given a housing choice voucher, which can pay up to 100% of the rent. However, most of the time the tenant pays a small portion of the rent that isn't subsidized by the government. Many realtors and brokers are just motivated by making a commission, and often don't disclose all costs (either purposely or because they lack the information). When buying a rental property you should account for several fixed costs. These costs included property management fee (which is typically 10% of the gross rent collected), property taxes, and property insurance. There also might be costs before purchasing like setting up an LLC. This cost may vary and can be opened by an attorney or CPA's office. Title companies, which carry out the closings will also charge fees for conducting title searches and verifying there are no encumbrances like back taxes or water bills. Every year you will also have to file income tax on income derived from rental properties and this of course comes with a cost. 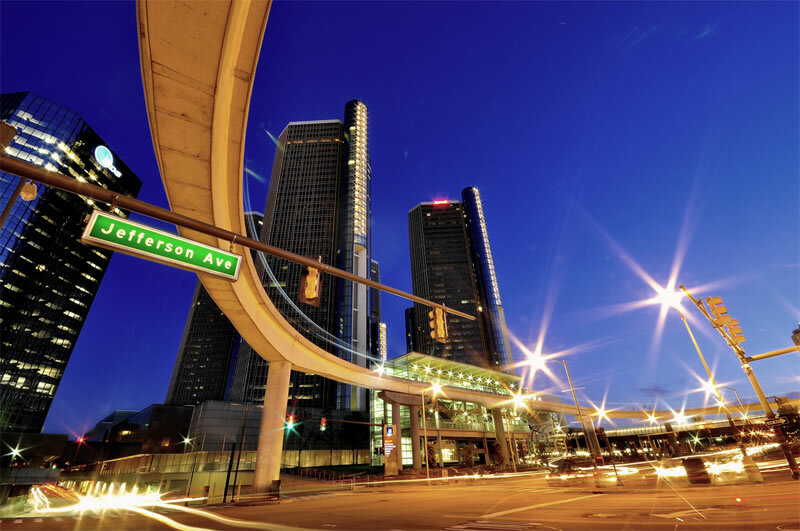 Even with all costs considered, Detroit property investment can still deliver double digit net yields. The experts at US Investor Group can help you start your due diligence process. Our professional team has extensive experience in the Metro Detroit real estate market and can answer any question you may have. Our network of affiliated CPAs, escrow agents, and attorneys are also available for advanced questions about your specific situation. Don't roll the dice with inexperienced brokers and realtors. Achieve the maximum return on your investment dollar by working with USIG's reputable, knowledgeable team. Call us or write us today to schedule a free investment analysis.